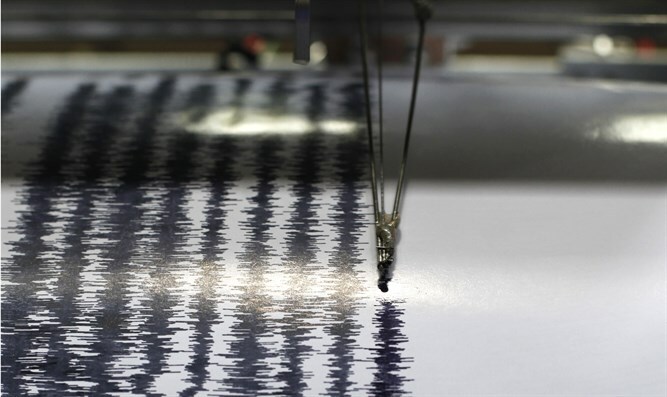 Earthquake measuring 4.3 on the Richter scale strikes northern Israel, following earlier quake on Wednesday morning. Residents of northern Israel reported on Wednesday night that they had felt an earthquake for a few seconds. A number of communities in central Israel also reported feeling an earthquake. The epicenter of the quake was in the northern border area, with a magnitude of 4.3 on the Richter scale. The earthquake is the second that was felt in the northern part of Israel on Wednesday, following the earthquake which struck early Wednesday morning. The earthquake which struck in the morning measured 4.1 on the on the Richter scale.